While the new Consumer Rights Act has brought with it changes to the law governing both goods and services, perhaps the most significant changes relate to digital content. Until now, digital content was something of a black sheep in consumer law. Was it goods? Was it a service? Was it both? Answers to these questions were never really very satisfactory. Now, however, the Consumer Rights Act has grabbed the bull sheep by the horns and made digital content into a proper category in its own right. The rules relating to digital content are, by design, very similar to those relating to goods. Digital content must be of satisfactory quality, fit for purpose, and as described (this includes compliance with information provided under the Consumer Contracts Regulations). Despite the fact that the Consumer Rights Act clears up the confusion over what digital content actually is, there will still be occasions where the rules on goods and services will come into play, for example where the digital content is the product of a service provided to the customer, or where it is sold on physical media (i.e. goods). What Digital Content is Covered? The statutory definition of digital content is “data produced and supplied in digital form”. It therefore includes a wide range of content types including apps, games, music and video. The product of services may also be counted as digital content. Popular examples here might include websites and digital photos. As for how the content reaches the customer, as far as the Consumer Rights Act is concerned, this is in many ways immaterial. Physical media, download, stored in the cloud, streamed… any way, any how. For the most part, only paid digital content is covered. There is an exception where the digital content damages a consumer’s data or device, but we’ll look at that below. Digital content is “paid for” when it is supplied for a price, or when it is supplied with something else for which a price is paid and isn’t generally available to customers unless they have paid for it or for goods, services or some other digital content. An example of free content like this would be free software given away with a paid-for magazine. Paid digital content also extends to things paid for with “a facility for which money has been paid” – commonly things like purchased virtual currencies (every parent’s favourite, the in-app purchase). First of all, digital content must be of satisfactory quality. This requirement is, for the most part, the same as its goods-related counterpart. As for what “satisfactory quality” is in this context, this isn’t a fixed requirement and will take account of the customer’s reasonable expectations, the price, the description given by the trader and other factors such as public statements made by the trader (in advertising, for example). The key point here is that the standard is flexible. A 99p photo filter app won’t be held to the same standard as Photoshop! Further important points to note are that digital content will be judged according to its state and condition, the purposes for which the relevant type of content is normally supplied, its safety and durability, and whether or not it is free from minor defects. On this last point, this doesn’t mean that a bug in an app now constitutes a breach of contract! Again, the standard will vary according to the type of content. An audiobook with a chapter missing or corrupted audio would not be of satisfactory quality in the eyes of the law. A piece of software with some bugs in it, on the other hand, is all but inevitable even with the best attention to detail and quality control, and the law understands that. Another important thing to be aware of is that – as with goods – if you make the customer aware of a particular defect, its presence cannot later count against the digital content being of satisfactory quality. The next requirement, again familiar to those who deal with goods, relates to fitness for purpose. This will include any purposes the customer has made known to the trader as well as particular purposes “as a matter of custom”. Traders providing bespoke digital content to consumers in particular should keep this one in mind. Next up is another goods-like requirement: the digital content must be as described. Another way to put it is that the digital content must do at least what is described. There is nothing preventing you from making it do more than you’ve said it will. This is also important to keep in mind when issuing updates and enhancements for digital content in the future. Just because a piece of software, for example, now does more things than it did when the customer bought it, it doesn’t mean that it is no longer “as described”. On a related note, unlike goods, there isn’t any requirement that digital content matches any samples, models or trial versions. On the plus side, this means that you aren’t tied into offering features, say, in a final version that were in a trial but that didn’t work out. Nevertheless, while the unscrupulous trader might be inclined to take advantage of this and offer samples and trials that promise more than the final version delivers, good business sense would dictate otherwise. Moreover, trial version or no, the digital content must still match its description. A final compliance point relates to information provided to customers under the Consumer Contracts Regulations. As with goods and services, any such information (including points such as the main characteristics of the digital content, its functionality and compatibility) will be incorporated into the contract, thus meaning that the digital content must also comply with that information. Since digital content, particularly software, is often updated post-release, how do these requirements sit with updates? The simple answer is that they continue to apply to the digital content where the contract gives the trader or a third party the right to modify that content. The Consumer Rights Act explains that this will not, therefore, prevent the addition or enhancement of features. A question that seems to be unaddressed at this stage, however, relates to the removal of features. As frustrating as it may be for a user, it isn’t unheard of (especially in this age of mobile apps and games making the silent transition from premium to freemium) for updates to remove or limit features that were present when the customer originally made the purchase. At this point, then, we would advise caution, and will look into this aspect of the Act again once traders, lawyers and – if the issue reaches such a level – the courts have had the opportunity to weigh in. Timing is everything. It’s a common phrase, and in this case, one that’s particularly relevant to the requirements outlined above. If the digital content is being transmitted “under arrangements initiated by the trader”, it must comply with the requirements either by the time the content reaches the customer’s device, or by the time it reaches the customer’s ISP (Described in the Act as “an intermediary with whom the customer contracts for delivery of digital content” – meaning that while the ISP is the most likely entity to fit the description, it may be a different party in some cases). What does this mean in real terms? After all, if you’ve done your job properly, the digital content complies with the requirements before it’s even left your hard disk. The point here is that if the digital content fails to comply, for example, because of a problem with your customer’s ISP, you won’t be at fault. If, on the other hand, there is no intermediary (or at least not one that you don’t have some sort of direct or indirect contractual control over) and the digital content doesn’t comply when it reaches the customer, then you will be responsible. Once again, however, it is important to remember that these rules exist to protect customers from unscrupulous traders. Ensuring that digital content is up to scratch and that it reaches your customers safely really goes without saying, or at least we hope it does! A further point relates to so-called “facilities for continued transmission” and “processing facilities”. This may be particularly relevant if you are providing on-going cloud-based services to your customers which entail the transmission of data from the customer to your servers and vice-versa. The Consumer Rights Act requires that the period throughout which such a service should remain available should either be fixed in the contract or, where it isn’t fixed, should be “a reasonable time”. In addition, the digital content must continue to comply with the requirements we have covered above for that period. Because you’re here reading this, you’re quite obviously a trader that wants to be clued up and good to your customers! Nevertheless, however hard you may try, there may sometimes be occasions where things go wrong. In those cases, it’s important to know what remedies your consumer customers may be entitled to. As with the requirements concerning quality, fitness for purpose and compliance with description, the remedies are not dissimilar to those concerning goods. First up, if the digital content does not comply with the requirements (including pre-contract information relating to its material characteristics), the customer has the right to a repair or replacement. The customer may request one or the other (unless one would be disproportionate compared to the other), and it is the trader’s obligation to comply within a reasonable time and without significant inconvenience to the customer. Any costs associated with carrying out a repair or replacement must be borne by the trader. As to what a “repair” is where digital content is concerned, it is a rather awkward term, but it essentially means making the non-complying digital content comply with the contract. To use software as an example, then, a patch would qualify as a “repair”. The remedies differ slightly in cases where the trader fails to comply with pre-contract information provided under the Consumer Contracts Regulations other than that which relates to the material characteristics of the digital content. In such cases, the customer only has the right to recover any costs incurred as a result of that failure (up to the price paid for the relevant digital content). If the trader has supplied digital content that they have no right to supply, the customer will have the right to a refund. If a repair or replacement can’t be (or isn’t) carried out because it is impossible, or has not been performed within a reasonable time or without significant inconvenience to the customer, the customer may be entitled to a price reduction which can be anything up to the full price originally paid for the digital content in question. As to how this will be calculated, the rule of thumb is that the refund should reflect the difference between what the customer has paid for and what they have actually received. As in the case of goods and services, refunds should be made using the same payment method originally used by the customer unless they agree otherwise (so no refunds using IAP currencies – gold coins, miracle fertiliser or whatever else dismayed parents may find on their bank statements!). Once again, as with goods and services, you may not charge customers for issuing refunds, and they must be made without undue delay, and in any case within 14 days starting on the day that you agree that your customer is entitled to the refund. A notable difference between the digital content remedies and the goods remedies is that with digital content, unlike goods, you are not limited to only one opportunity to repair or replace the digital content. That said, however, more than one attempt may constitute “significant inconvenience” for the customer in some scenarios. The number of attempts at rectification, therefore, will depend on the circumstances rather than a limit that is set in stone. Another key difference between goods and digital content remedies is the absence of a right to reject. This, we would suggest, is largely borne out of practicality. Ensuring the deletion of digital content from a customer’s device would be very difficult in many cases, and since the price reduction remedy can be anything up to a full refund, an additional right to reject could have been considered superfluous. As we pointed out above, for the most part these requirements and remedies apply to content that is, at least in some way, paid for. There is however one remedy that applies to any digital content, even that which is free. If you supply any digital content to a consumer under a contract and that digital content damages the consumer’s device or other digital content that belongs to them, and that damage wouldn’t have occurred had you exercised “reasonable care and skill”, the consumer may be entitled to a repair at your expense or to compensation. For more than a decade, digital content sales have been a hugely significant part of doing business, and it has taken the law a surprisingly long time to catch up with reality and start treating digital content as it treats goods and services. Now, though, we’re finally there. At the risk of repetition, as with the changes in the law on goods and services, these new provisions should not present many (if any) surprises, and any trader worth their salt should already be complying as a matter of course. Nevertheless, the various requirements with which digital content must comply and the various remedies open to consumers if it doesn’t are now presented in black and white, clear for all to see and it is important that traders providing digital content to consumers understand the law, their obligations and their customer’s rights. As this is a new category of commodity in the eyes of the law, it will be interesting to see as time progresses how traders and trade practices adapt and adjust. As we noted above, it seems that traders who want to make alterations to digital content, especially software, need now to be particularly careful. If you are a trader dealing in digital content, how do you feel about the new rules? Do you think it’ll just be business as usual or do you now feel trapped in a creative box? As ever, we would love to hear from you, so don’t hesitate to leave us your responses in the comments section below. As of 8 September 2015, employers in England and Wales are able to refer employees to the new Fit for Work occupational health assessment referral service. This is a new Government service that offers a free voluntary occupational health assessment for employees who are off work through illness or injury for at least four weeks. 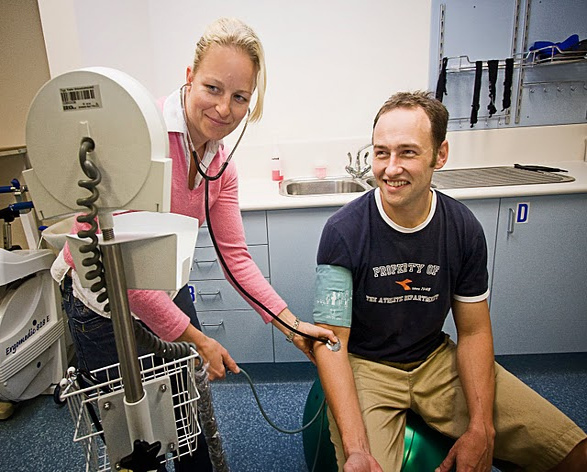 In particular, the service is aimed at small and medium-sized businesses with little or no occupational health support. However, it is also intended to complement existing occupational health provision for larger employers. Given that 31% of workers are employed by organisations with no occupational health support (YouGov) and around 815,000 working people each year have sickness absence of four weeks or more, the Fit for Work initiative looks to be a useful one. However, according to the Chartered Institute of Payroll Professionals, only one in four organisations expect to use the service. So, why the reluctance? Probably for two main reasons: firstly, the service is voluntary and employees can simply refuse to be referred; and, secondly, referrals cannot be made until the sickness absence has lasted for four weeks – a long period of absence for any small or medium-sized undertaking to handle. Still, given that employers and employees alike have expressed a desire for more support in encouraging employees back to work after prolonged sickness absence, this service – described as ‘free, expert and impartial’ – has to be a step in the right direction in controlling long term sickness absence. To learn more about changes to the government’s Fit to Work scheme, you can read our newsletter that covers the subject in more detail. In the meantime, we would love to hear what small business owners think about the changes. So please, contribute to the debate in the comments section below. Last week, a European Court of Justice (ECJ) decision found that, for workers with no usual place of work, time spent travelling to appointments from home should form part of a worker’s working day. The ruling came about because of an ongoing legal case in Spain involving a company called Tyco, which installs security systems. • Any additional period designated as working time under a relevant agreement. Working time includes travelling where it is an integral part of the job, e.g. 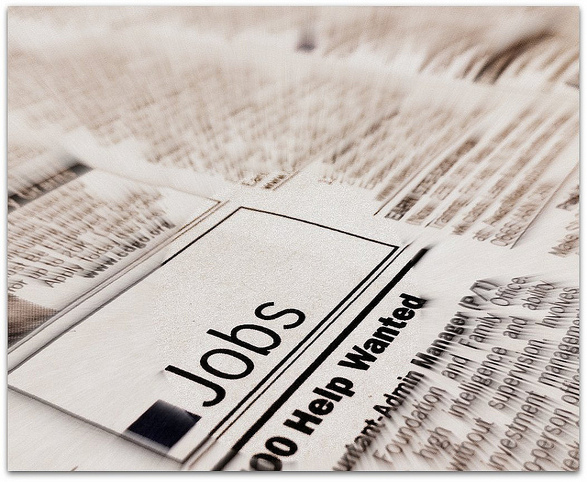 a travelling sales executive or a care worker. This includes travel during normal working hours and travel between sites or clients, since the travelling is an essential part of the work. The Working Time Directive sets down regulations on matters such as how long employees work, how many breaks they have, and how much holiday they are entitled to. One of its main goals is to ensure that no employee in the EU is obliged to work more than an average of 48 hours a week. 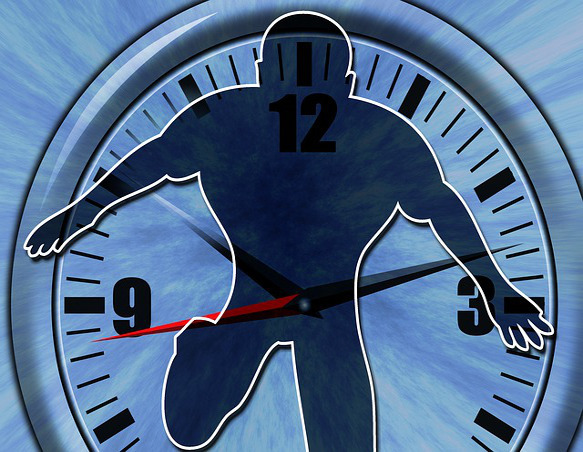 In its ruling, the ECJ said time spent travelling to and from their first and last appointments should be regarded as working time under the European Working Time Directive. The judgment explained that excluding those journeys from working time would be contrary to the objective of protecting the safety and health of workers upheld by EU law. This is an important decision for employers with mobile workers, i.e. those without a fixed place of work. Such employers will need to consider how they calculate working time – for example, in relation to the maximum weekly working hours, which could mean that employers will have to ask staff to opt out of the Working Time Directive’s 48-hour working week. If employers don’t do this, employees could quickly exceed the number of working hours that they are legally allowed to work and employers could find that they are operating illegally and at risk of facing costly claims against them. Although this case was not concerned with remuneration, there still may be wage implications for employers. For instance, employees may argue that time spent travelling to and from their home for customer visits should count for the calculation of the national minimum wage. Employers may, therefore, wish to give thought to scheduling the first and last customer visits of the day close to a worker’s home. Do you employ mobile workers? How will these changes potentially affect your business? Please join the debate in the comments section below. Residential Landlords Watch Out – Section 21 Notices Just Got More Difficult! On 1 October 2015, significant changes were made to housing law in England (properties in Wales are not affected). The changes which are set out in the Deregulation Act 2015 increase the level of protection afforded to tenants, while placing extra burden on landlords. Buy-to-let investors are still coming to terms with the budget bombshell concerning the reduction of tax relief on mortgage interest payments. How much will these 1 October 2015 changes add to their woes? What has changed on 1 October? The most important changes affect landlords’ ability to recover possession of their premises at or after the end of the term of an assured shorthold tenancy. Section 21 of the Housing Act 1988 allows landlords to remove tenants on a ‘no fault’ basis, provided they serve notice correctly and there are no factors that serve to invalidate the notice. 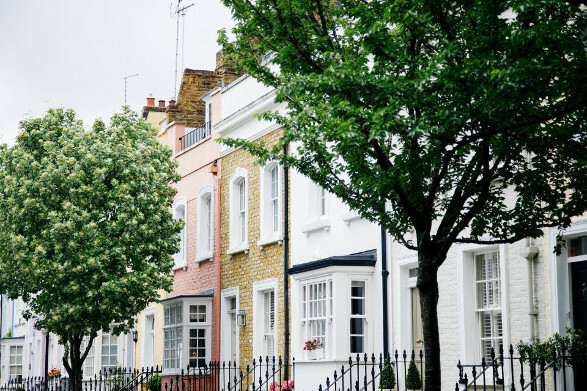 From 1 October there is a longer list of invalidating factors – or, in other words, there are more obstacles in the way of landlords seeking possession. There are also changes to the timing of a Section 21 notice and the timescale for issuing possession proceedings. And there is a new prescribed Section 21 notice which landlords must use. Readers should note that the changes referred to below only affect tenancies that start on or after 1 October 2015. Tenancies granted before that date are not affected. However, from 1 October 2018, the new provisions will apply to all tenancies, regardless of when they were granted. Until 1st October 2015, there were two factors that could invalidate a Section 21 notice: failure to protect the tenant’s deposit in an approved tenancy deposit protection scheme and failure to comply with HMO licensing requirements. 1. The tenant has made a valid complaint about the condition of the property and, instead of addressing the complaint, the landlord serves a Section 21 notice. This is known as ‘retaliatory eviction’. This restriction comes into play where the local authority has served an improvement notice or an emergency remedial action notice under the Housing Health & Safety Rating System (HHSRS). 2. The landlord has failed to provide the tenant with any of the following: a valid energy performance certificate, a current gas safety certificate or a copy of the publication ‘How to rent: the checklist for renting in England’, published by the Department for Communities and Local Government. To clarify because this is important: failing to give your tenant a copy of the ‘How to rent’ document means you can’t serve a valid Section 21 Notice! Prior to 1st October 2015, some landlords and agents liked to issue a Section 21 notice at the start of the tenancy. This was deemed to be unfair to tenants, so from 1st October it is not possible to serve a Section 21 notice in the first four months of a tenancy. Therefore landlords and agents will need to make and keep accurate records if they want to obtain possession at the earliest possible stage – i.e. after six months. There is also a new deadline for starting possession proceedings if the tenant does not vacate of his or her own accord. Proceedings must be started within six months of the date of service of the Section 21 notice, otherwise a new Section 21 notice must be served. A new prescribed form of the Section 21 notice needs to be used to terminate tenancies that start on or after 1 October. Use of the prescribed form is optional for existing tenancies but it is likely that landlords will adopt the new form for all tenancies. From 1 October 2018, the new form must be used for all tenancies. As well as the changes to the Housing Act discussed above, landlords and agents need to be aware of the new Smoke and Carbon Monoxide Alarm (England) Regulations 2015 which came into force on 1st October. Carbon monoxide incidents are more common in rented property than in privately owned homes, and these new regulations are part of a wider effort to improve fire safety in the UK. The regulations require a smoke alarm to be installed on each storey of premises on which there is a room used wholly or partly as living accommodation (this includes bathrooms and toilets). They also require a carbon monoxide alarm to be present in any room that is used wholly or partly as living accommodation and contains a solid fuel burning combustion appliance. On the first day of a new tenancy, the landlord or their agent must check that each alarm is in proper working order. Local housing authorities have enforcement powers. Many properties, particularly those built in recent years, will already be equipped with alarms that comply with the regulations. However, landlords and agents should carry out an audit of their properties to identify deficiencies and remedy as soon as possible. What should landlords and agents do now? Landlords and agents should familiarise themselves with the new rules relating to termination of tenancies. A range of new and updated template documents is available on the Simply-docs website. As we all get to grips with the new regime, we would love to know what landlords and agents think of these changes. Do they strike a fair balance between the interests of landlords and tenants? Will the “how to rent” publication be a useful addition to the tenancy paperwork? Please contribute to the debate in the comments section below! The main provisions of the Consumer Rights Act 2015 are now in force and a large number of our document templates have been reviewed and updated to help you in getting along with the new Act. As well as bringing many different pieces of legislation together, the Act has also brought with it some new requirements for traders to comply with and remedies to help protect consumers when things don’t work out. In this post we’ll be taking a look at the rules covering the provision of services. When it comes to the requirements set out in the law, it should come as no surprise (or if it does – as a pleasant one) that your legal obligations do little more than echo good business sense. What is important here from the legal point of view is the actual performance of the service, not the end result (but let’s face it – you want to keep your customers happy so the end result should be quite important to you!). As for what “reasonable skill and care” is, that will take account of various factors, including prevailing standards in your particular industry or sector, and the price paid for your services. What about the reasonable price and time requirements? For the most part, you won’t find these mentioned in our templates because these rules apply only if the relevant information has not already been given to the customer, or is not already included in the contract (or the customer has not paid a price). The bottom line: you should always ensure that your customer knows what’s going on. By making sure that any and all information given to the customer at all stages (both before and after any contract has been made) is detailed and clear – especially on these points – it will be what you have agreed between you and not what the law implies when it comes to price and time for performance that matters. Again, your goal should be a happy customer and keeping people in the dark doesn’t usually lead to that outcome – so this should be an easy requirement to meet and you have most likely been meeting it since day one! As under the recent Consumer Contracts Regulations, any information you provide to your customers about yourself or your services can be taken as a contractual term. 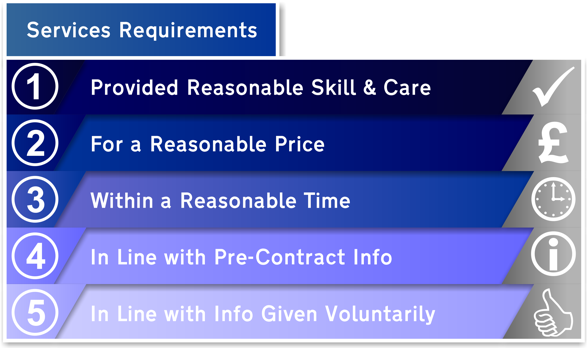 In addition, the Consumer Rights Act bestows similar status on information provided voluntarily where that information is taken into account by the customer when deciding whether or not to enter into a contract, or where it is taken into account when the customer makes a decision about the service after entering into the contract. It is important to note that this does not tie you to everything you say – any qualifying statements made at the same time will be taken into account when determining whether or not something you have said or written to the customer should be treated as contractually binding. Nevertheless, when considering statements made in advertising and other forms of marketing, this is an important point to be aware of. Returning briefly to the Consumer Contracts Regulations and, more specifically, the pre-contract information requirements that they set out, any such information will also be treated as a contract term. So what if things change? The key point to the rules governing the binding nature of information given by traders to consumers appears to be the prevention of unilateral changes or – to put it in blunter terms – getting the customer’s business by promising one thing, but actually giving them another. The information can be changed, provided both the trader and the customer expressly agree to it. Once more, then, although these are legal requirements and breaching them could have serious ramifications, if you are running an honest business and not trying to mislead your customers, compliance should be a virtual given. If something goes wrong and it turns out that you have not complied with your obligations in some way, the Consumer Rights Act has introduced new remedies for consumers purchasing services. If the service is not performed with reasonable skill and care, the customer will have the right to repeat performance. If that isn’t possible, or isn’t done within a reasonable time or without inconvenience to the customer, they will have the right to a reduction in price (up to the full price for the service). If the service isn’t performed within a reasonable time (though remember what we said above about specifying such information in the contract), the customer may have the right to a price reduction. What about the all-important information? If the service isn’t performed in accordance with information you have provided about it, the same remedies of repeat performance and price reduction will again apply. If, on the other hand, the problem relates to information you’ve provided about yourself (as opposed to the service), the only remedy on offer from the Consumer Rights Act is a price reduction. The goal of this remedy is to put things right, leaving the customer in the position he or she would have been in had the service been performed correctly in the first place. The “repeat” part, then, doesn’t necessarily refer to the whole kit and caboodle – you must only perform the service again to the extent required to ensure compliance with the contract. This must be done within a reasonable time and without causing your customer significant inconvenience. What’s more, you must not charge the customer for repeat performance – the cost is yours to bear and yours alone. Remember, if the repeat performance can’t be carried out within a reasonable time, without significant inconvenience to the customer, or if it is simply not possible, the customer should be given a price reduction. In cases where your customer may be entitled to a price reduction, this can be any amount up to and including the full price. The Consumer Rights Act refers to the price reduction being of “an appropriate amount” – this essentially refers to the difference in value between the service the customer should have received and the value of that which they have actually received. Remember also that the customer may be entitled to a price reduction if you have provided incorrect information about something else, for example, your business. Where the customer has already paid something, they may be entitled to a refund as a result of the price reduction. Under the Consumer Rights Act, refunds must be given “without undue delay” and in any case, within 14 calendar days starting on the day that you agree your customer is entitled to the refund. Unless the customer expressly agrees otherwise, you must use the same payment method originally used by the customer when they paid in the first place – so no refunding them with useless vouchers when they paid by debit card! Finally, you may not impose any fee on the customer for issuing the refund. But you weren’t going to do that anyway, were you? It is, without a doubt, important to be aware of your obligations under the Consumer Rights Act, and the remedies open to consumers should you fail to comply with those obligations in some way. With that said, nothing here should come as a particular surprise and, as we have noted more than once, if your goal in business is to keep your customers happy and informed, complying with these rules should be a cinch. Join us in our next blog post for details on the new digital content provisions of the Consumer Rights Act and in the meantime, feel free to drop us a line with any comments you might have on your life as a service provider under this shiny new legislation!